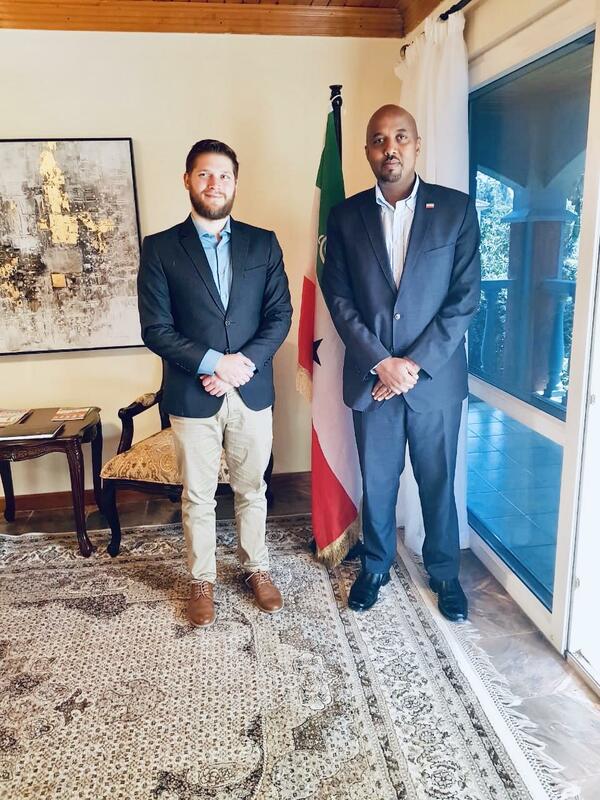 The Vice President of Burn Manufacturing firm, Mr. Christopher McKinney has today paid a courtesy call to Somaliland head of a mission to Kenya, Mr. Bashe Awil. Burn is one of Kenya Manufacturing company that operates in major African countries including that of Somaliland. Somaliland is a major beneficiary of the environmental friendly technology of BURN that provides a range of super fuel efficient stoves that transforms lives and saves forest. BURN is in the process of setting up it’s Horn of Africa Manufacturing Headquarters in Somaliland.